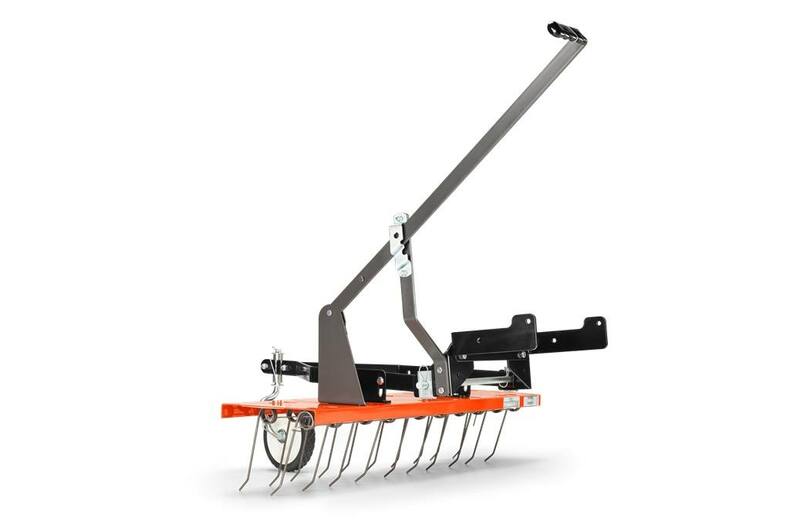 One time bracket installation on tractor, then dethatcher removes or installs without tools. Must remove bumper (if on tractor) to install. Use with a bagger or sweeper to pick up thatch.